Sometimes it feels like the holidays are all about emptying your wallet. It doesn’t have to be that way. There are plenty of ways to save money on gifts, entertainment, and dining out through the holidays. I’ve gathered together some of my best tips – most having to do with shopping/gifts – that will help you save money this holiday season. First of all, I encourage you to sign up for Columbus on the Cheap daily emails, RSS feed, Facebook, and/or Twitter. 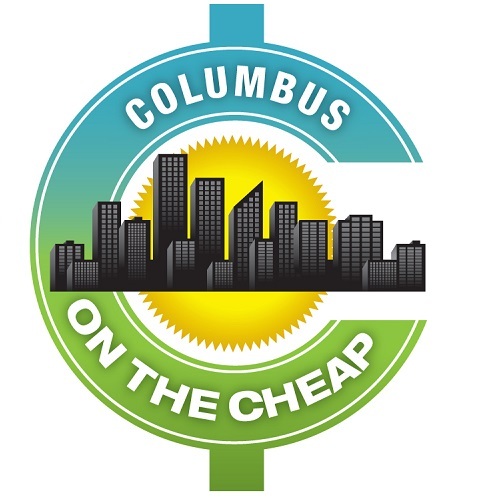 You’ll get the most current deals and cheap events around Columbus without having to search for it. Shopping online is my preferred method…I don’t have time or energy to hit all of the stores searching for deals. Before I purchase anything, I check to see if Amazon sells it for a lower price (they often do, but not always). At the very least, I don’t have to run out to a store, and I’m happy with that! Prime members will get 2 day shipping in most cases, so if you purchase from Amazon a lot, it’s worth it! You can sign up for a free one month trial of Amazon Prime to get FREE 2-day shipping. Sign up now and get free shipping through Christmas- just remember to cancel the trial (it’s easy to do in your account) or you’ll be charged $79 for a year. If you’re a college student with an .edu email address, you’re eligible for 6 free months of Amazon Prime ($39/year thereafter) via Amazon Student. If you’re a mom, dad, or caregiver, you’re eligible for Amazon Family to get 20% on diapers, baby food, & more. Ebates is a cash back site that will give you 1-30% cash back of your total purchase at online stores. All you need to do is shop at your preferred retailer via the link from the ebates website. As a bonus, they often have coupon codes you can use as well. Even if you forgot to go through Ebates before you loaded up your shopping cart, open a new tab, log on to Ebates, and then choose your store. Your full shopping cart will still be available at the new link. You can also install a ebates cash back button on your browser and will be notifed if the store you are shopping on has cashback or coupons available – which means I’m less likely to forget! Sign up through my links and get credit towards your account after your first purchase through the sites (disclosure, I get rewarded too). I’ve received over $550 cash back in the past 8 years! Need some last minute gifts? Free Shipping Day is Friday, December 14. Over 1000 retailers will be participating by offering free shipping with delivery by Christmas Eve. Handmade and unique gifts are my favorite to give and get. Etsy.com has millions of great gifts that can be narrowed down by categories/prices/and more. Shipping is usually reasonable. If you’d rather shop in person rather than online, for the holidays, you can still save money. The first tip is to avoid the mall – unless you are going there for something specific that is a great price. Otherwise, you’ll end up paying too much and giving gifts with little creativity. Craft Fairs, Art Shows, and Community Markets are popping up all over the city. Check out the list of holiday and craft fairs around Columbus to find unique and meaningful gifts. Buy Local and Unique! Some of my favorite stores for unique gifts include What the Rock? !, North Market, Wholly Craft, Skreened and Homage (clever screen-printed shirts), Bink Davies and Celebrate Local (Easton), Candle Lab (3 locations), Morgan House and Audacious Boutique (Dublin), and Shyne, Inc (Powell). Let me know your favorites in the comments! Chain Discount Stores offer a good selection and lower prices – but they aren’t quite as original. I prefer Marshall’s, TJ Maxx, and Urban Outfitters for inexpensive gifts. If you must go to the standard big box stores, make sure you sign up for email updates and/or like them on Facebook so you’ll know about special “deals of the day” and sales to help you round out your Christmas list. Don’t be afraid to use a little creativity – homemade food items and handmade items can be some of the most useful and unique gifts to give. Not everyone appreciates such things, but for those on your list who would, you can’t beat the savings and personal touch that these gifts bring. There are tons of online tutorials for handmade and homemade gifts online. Examples I’ve given or received include homemade candy, baking/cookie mixes, jellies, homemade vanilla extract, spicy peanut butter, wine, and jewelry. One year I made a bunch of recycled magazine bowls made out of torn out magazine pages – I added some wrapped goodies to the bowls. Search Pinterest for inspiration – it’s a virtual pin board for you to find and save ideas/recipes/favorite things, etc. Another thought is to gift your “favorite things” or favorite treats. I did a “fun food” gift bag for a yankee swap gift exchange last year that contain Hot and Spicy Peanut Butter from Krema PB Company (local! ), Black “Coal” popcorn ball from Pam’s Popcorn, truffles from Trader Joes, local honey, Tea, Starbucks Via Packets, Hot Chocolate Packets, Gourmet Candy Bar, and a couple of other fun things. It was the most “swapped” gift out of all of them. You could do all sorts of themes for this – for a foodie or someone learning to cook (favorite kitchen tools, spices, etc), Friend Bag (favorite lipgloss, chapstick, nail polish, files, bath products), etc. Creativity is often what makes a gift great, not money spent. Need more inspiration? Check out my other gift idea posts.